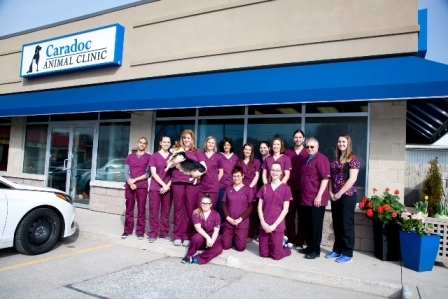 Located in the friendly community of Strathroy, Ontario and only a short drive from London, Caradoc Animal Hospital is a great choice for pet care at a reasonable price. Caradoc Animal Clinic offers patients a warm, caring environment to help lower their stress in time of illness, injury or even just being in an unfamiliar place. Your pets benefit from a team that’s passionate about innovation in diagnostics and treatment while never forgetting that your pet is part of your family. Meet our team to learn more about their education, dedication and love of caring for animals.